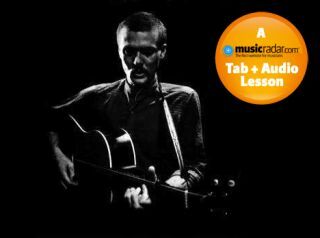 In this audio and tab lesson, we're going to be examining the DADGAD style of Davy Graham - the alternate tunings pioneer who is widely regarded as the father of this versatile tuning method. DADGAD is something of a gift for guitar players as it affords us many open 'drone' strings which we can keep ringing to fill out the sound. Couple this with the fact that the open strings spell out a Dsus4 chord (With D as the root, A as the fifth and G as the sus4) and you have a tuning that is ambiguous in its tonality. This can be great for shifting easily between major and minor keys or creating those moody Celtic sounds that don't seem to be obviously major or minor (modal music). Graham's playing certainly reached a wide enough audience to help popularise this particular tuning. In fact, his influence extended to folk heavyweights such as Martin Carthy, John Renbourn and Paul Simon amongst others - perhaps most importantly to a certain Jimmy Page! The study here features some classic Graham touches, a descending bassline redolent of his composition Anji and the bluesy double-stops against a pulsing bassline. [Bar 5] After a Graham style melody is stated, the bass notes are added. The rhythm here starts sparsely but soon gets busier! 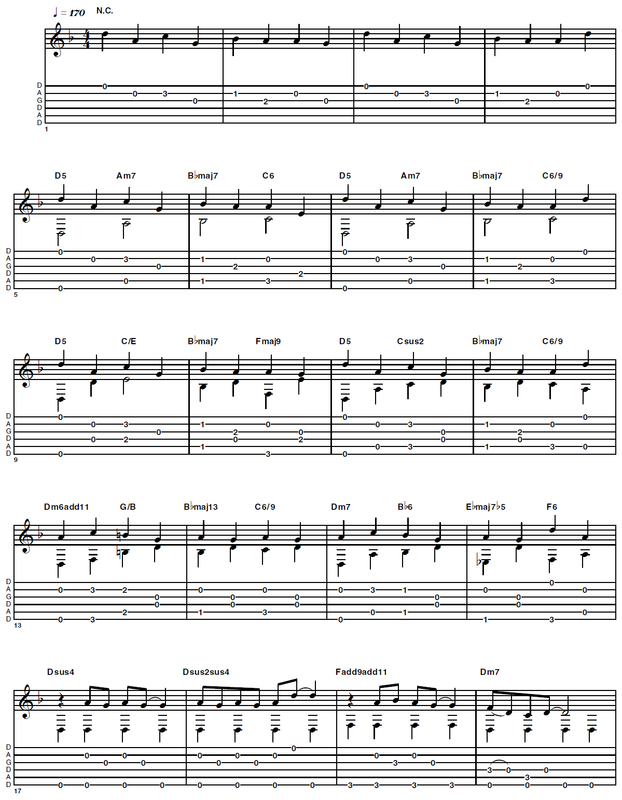 [Bar 9] This illustrates the 'folk baroque' style of using counterpoint - notes moving against or with each other. Now the rhythm on the bass follows the melody so there will be some rapid finger shifting. 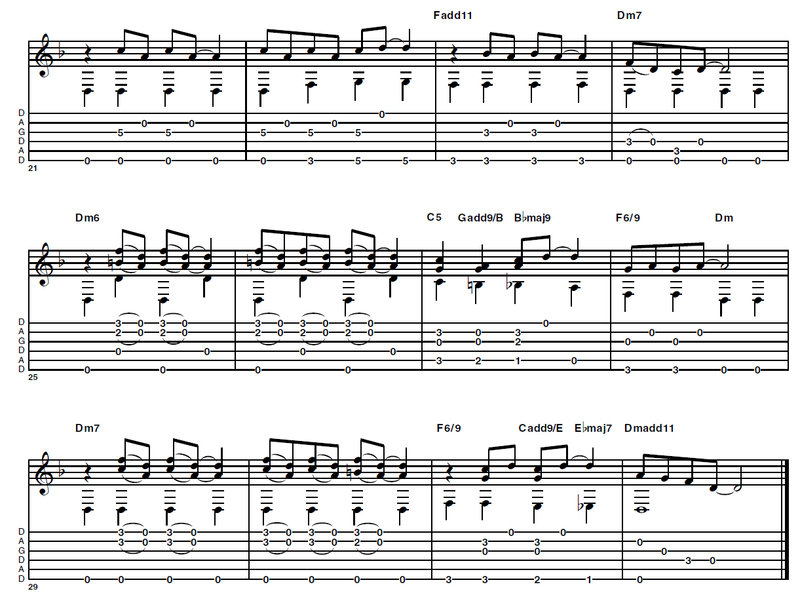 [Bar 13] The melody and bass notes keep shifting so work through each bar slowly to get a feel of where everything is. [Bar 17] This is more classic Graham as the bass relaxes into a pulsing groove without much movement around the fingerboard. Now you can focus on the bluesy melody over the top and keeping your timing solid. [Bar 22] Look out for the moving bass line; it's here to keep you on your toes! [Bar 25] The double-stops on the first and second strings showcase the influence of the blues. Try the pull-offs onto the open strings to keep the sound really clean and flowing. [Bar 31] ...and more here - take it slowly until it's familiar to you.